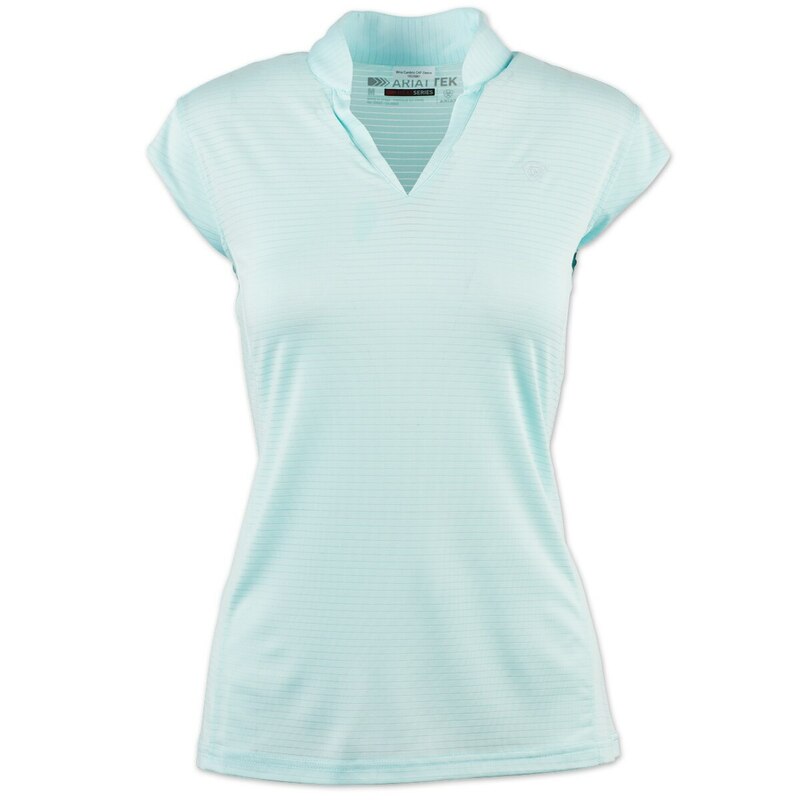 The Ariat Cambria Cap Sleeve is a perfect choice for a put together schooling look. With a feminine notched V-neck and flattering cap sleeve styling, this top will be a perfect on the go choice. With a breathable mesh at full back and side paneling, you'll always be cool when the weather is warm. 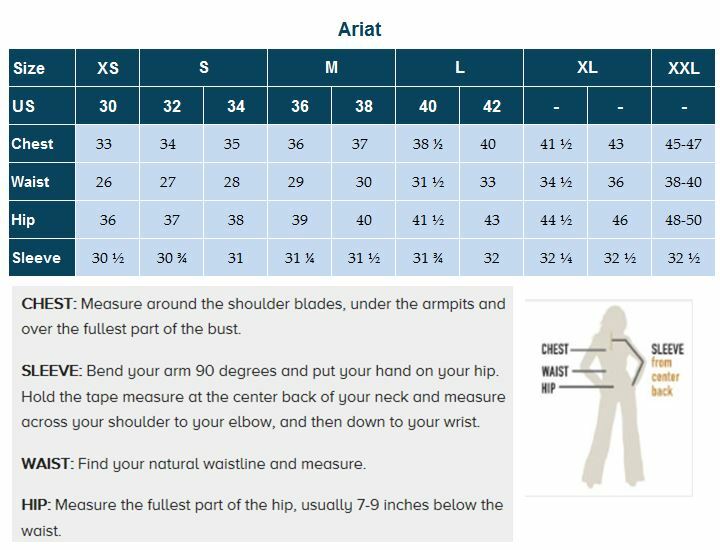 The 96% Polyester / 4% Spandex fabric is also super comfortable and provides plenty freedom of movement. Perfect choice for a put together schooling look. 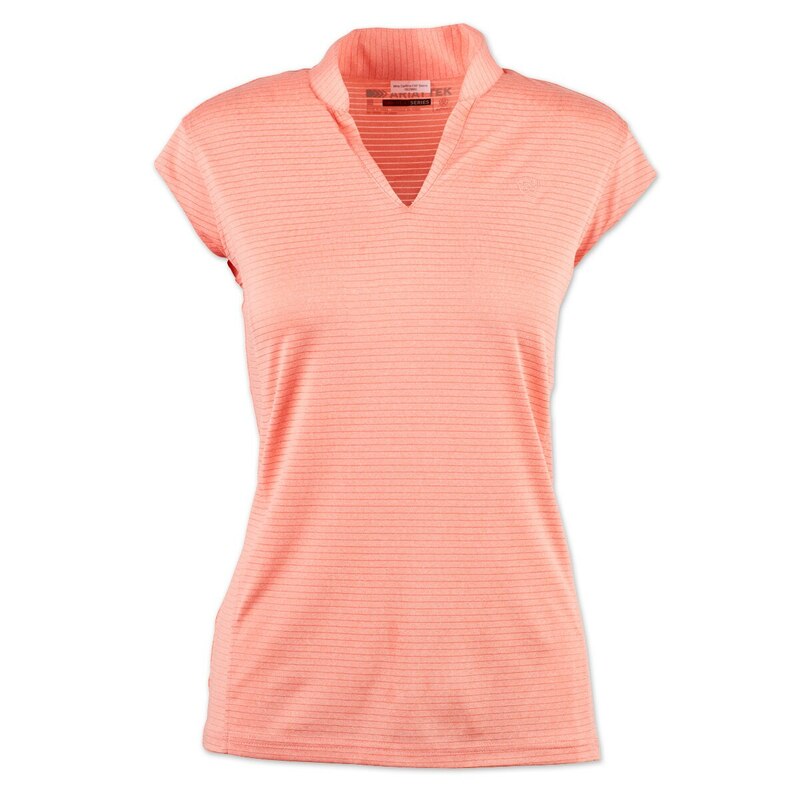 With a feminine notched V-neck and flattering cap sleeve styling, this top will be a perfect on the go choice. With a breathable mesh at full back and side paneling, you'll always be cool when the weather is warm.